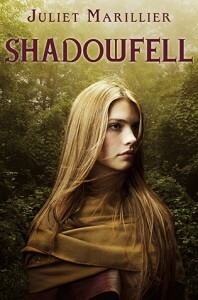 I love Juliet Marillier books, but this book I just couldn't get into as much as previous ones Her books are normally slow paced, but Shadowfell seemed excruciatingly slow compared to others I read by her.The author knows how to weave a magical story without the plot being overtly about magic. It's subtle and that's what I love about the author's style of writing. 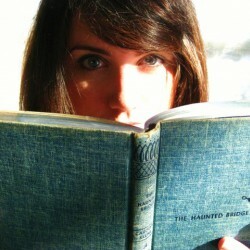 It brings historical fiction and fantasy together perfectly.Neryn was a fantastic heroine. She wasn't always physically strong, but had an iron will. She was brave and honest to her path.I'll fight you. I won't be anyone's puppet. A man who lies to me will never be my friend. I don't need you. I don't want you. I'll get to Shadowfell on my own.Flint was very mysterious. Not a lot was told about him and his past. Flint wins a wager against Neryn's father for her and rescues her from impending death. They soon part ways while Neryn starts her travels. Even after Flint betrays her she remains conflicted about her feelings for him. She wants him safe, but at the same time she cannot get past the betrayal. After realizing her canny gift may have dire repercussions, she sees that both gifts can be used for a destructible purpose if not wielded correctly.I loved the Good Folk. They were described so wonderfully and were crucial to Neryn's journey.I can't wait to meet King Keldec. I really hope that we actually see him in future books, since his wrath is seen throughout his kingdom. He has tyrannised the land of Alban for many years. His villagers fear him, the rebels hate him, he has turned neighbour against neighbour, and friends into foes. His reputation intrigues me and I want to see more of him.The ending showed us that their journey is not even close to being over. Both Neryn and Flint will be tested along the way and will have far to go to survive.